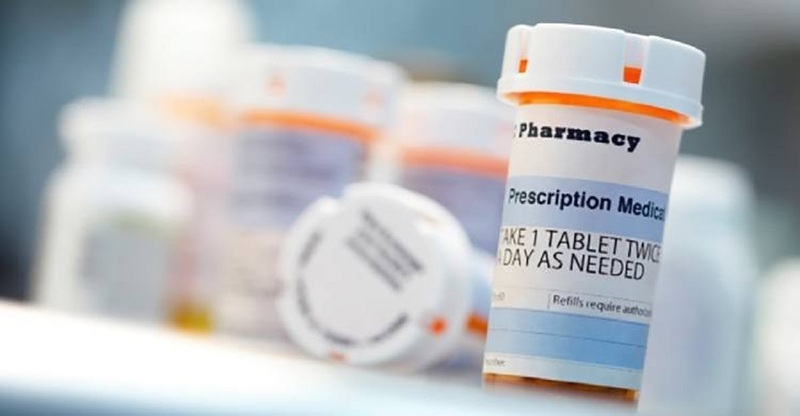 CHICAGO (Legal Newsline) - At its annual meeting last month, the American Medical Association adopted a policy to advocate for a requirement that attorney commercials that may cause patients to stop using necessary medications to include “appropriate” and “conspicuous” warnings. The AMA, the largest association of physicians -- both Doctors of Medicine, or MDs, and Doctors of Osteopathic Medicine, or DOs -- and medical students in the U.S., contends late-night television is “rampant” with attorney ads that seek plaintiffs regarding complications from new medications. “Potential complications are spoken about in an alarming way, and often it is the first time the public learns about those potential complications and side effects,” the association said in a statement following its meeting, held in Chicago this year. In an effort to better protect the public’s health, the AMA has adopted a policy to push for ads that include warnings that patients should not discontinue medications without seeking the advice of their physician. “The onslaught of attorney ads has the potential to frighten patients and place fear between them and their doctor,” Russell W. H. Kridel, M.D., and AMA board member, said in a statement. “By emphasizing side effects while ignoring the benefits or the fact that the medication is FDA (Food and Drug Administration)-approved, these ads jeopardize patient care. Legal Newsline’s requests for additional comment by the AMA on the new policy went unanswered. Rustin Silverstein, founder and president of X Ante, a Washington, D.C.-based firm that tracks mass tort litigation advertising, said he has heard directly from physicians about their frustration with such ads. Silverstein’s firm monitors and analyzes nearly all advertising in the U.S. related to mass tort litigation, including television, online and social media. And he said the field is growing at an alarming rate. In 2015, nearly $900 million was spent on television ads related to legal services. Silverstein said that is a jump of about 70 percent from 2008. Last year, of those ads, about 360,000 focused on drugs and medical devices at a cost of $123 million. So far this year -- from January through June -- about 217,000 drug and medical device litigation ads have aired at an estimated $80 million. “We’re seeing a lot of new money coming in,” Silverstein said. 10. Davis & Crump, with 9,051 ads. In some instances, for-profit companies, like The Relion Group, solicit cases and then sell the leads to various law firms, Silverstein said. “That’s the new model,” he said. No matter the setup, there is one common denominator, Silverstein said: a diverse portfolio. “Typically, these firms and companies go after older, more established litigation -- think pelvic mesh, (blood thinner) Pradaxa -- and some more recent, like (anti-nausea) Zofran and (blood thinner) Xarelto,” he explained. 10. Androgel, with 19,736 spots. Philadelphia injury lawyer Max Kennerly, who has tackled serious injury and wrongful deaths cases and nationwide litigation over defective medications and medical devices, said he thinks the AMA’s policy is driven by its desire to have doctors be the sole source of information for patients about medications. “That seems like a good idea in theory, but it ignores the realities of medicine and of health care in 2016,” he said. Kennerly noted that patients these days get health information from a variety of sources, including websites published by some of the most reputable names in medicine, such as the Harvard School of Medicine. “It’s simply not realistic to think that a patient’s only source of information about drugs could be, or should be, the handful of minutes they spend with their doctor, a doctor who may have been influenced by outside factors, like drug company spending,” he said. While he doesn’t purchase advertising online or on television, but instead maintains a website that discusses the cases he handles, Kennerly admitted that many of his clients were referred to him by attorneys who do, in fact, advertise. “Advertisements play a central role in connecting people injured by drugs and medical devices to the lawyers who can help them,” he explained. That being said, he doesn’t think the AMA’s push for warnings are necessary. “I don’t know of a single instance of a patient stopping a medication and being hurt because they saw an attorney’s advertisement,” Kennerly said. “I do know, however, of many patients seeing an advertisement and then discussing the issue with their doctor, and that’s a good thing. While he doesn’t think such a warning would have much of an impact on the number of people who contact a lawyer after seeing an ad, Kennerly said he does have concerns that it could leave the public scratching their heads. Plaintiffs’ lawyers don’t make up drug and medical device lawsuits “out of thin air,” he contends. “They follow the science, and they follow indications that the defendants should have acted sooner to protect the public,” Kennerly said.